June was a very hectic month at Casa Garcia! My post-stroke speech therapy was 3x per week, our teenage niece visited us from out of state for a few days, and we enjoyed a fun road trip to Memphis. That meant I didn't get to post much around here over the past few weeks...but I had a great time enjoying life's blessings! I'm back and planning some really fun posts this month-- starting with my Wendy's Great Eight column. I'm featuring some of my favorite healthier food options that help me eat better...and also taste fantastic. I can't wait to share my latest discoveries with you!!! 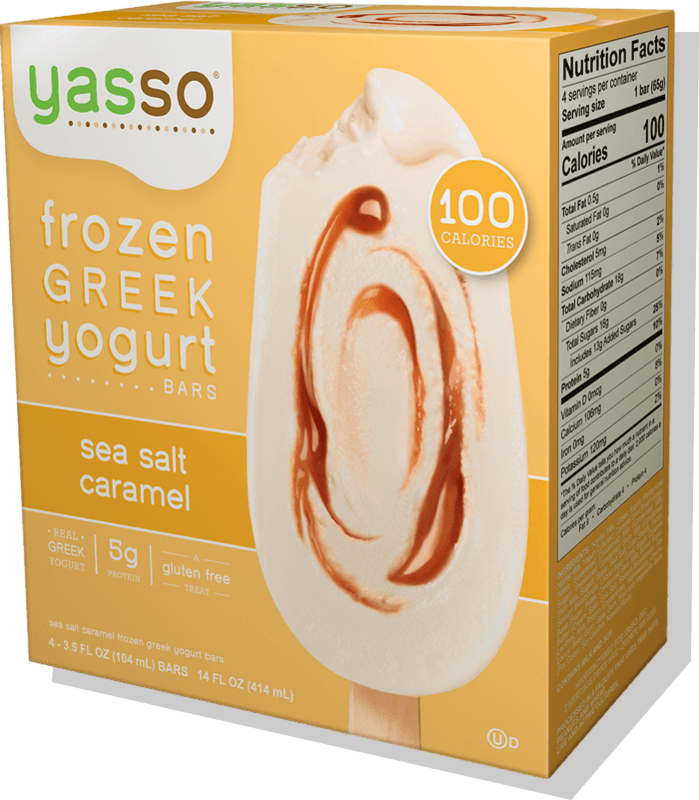 (1) Yasso Frozen Yogurt Bars and Pints. July is National Ice Cream Month! That's a holiday that I can definitely get behind, but most premium ice creams have large amounts of fat and sugar. 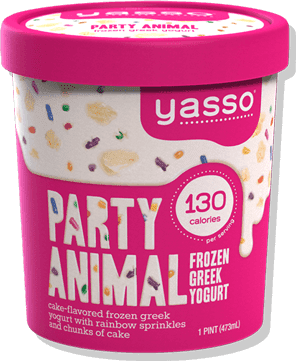 I recently tried Yasso Frozen Yogurt Bars and Pints, and they're delicious! Made with Greek yogurt, Yasso frozen desserts are big on flavor. However, they're low in fat and calories! With fun bar flavors like Mint Chocolate Chip, Fudge Brownie, and Sea Salt Caramel (!!! )...and pint flavors like Loco Coco Caramel and Chocolate PB & Yay...you definitely do *not* sacrifice fun flavors by eating Yasso! Their creamy, portion controlled Frozen Yogurt Bars average 100 calories each, with 5 grams of protein, no more than 4 grams of fat -- most flavors have 2 grams or less of fat -- and no sugar alcohols. Pints contain four 1/2-cup servings with no more than 150 calories and have 5-7 grams of protein. We found that for the pints to reach prime eating consistency, it worked best to take them out of the freezer to soften for 10-15 minutes before we were ready to eat them. 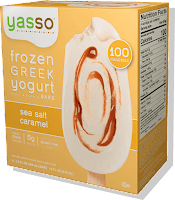 To find Yasso Greek yogurt bars and pints -- by specific flavor -- near you, be sure to check out their handy online store locator. (2) Fresh Express Saute Kits. One of the biggest dietary changes we've made this year is to eat a vegetarian diet 1-to-2 days per week, as well as eating more veggies every day. 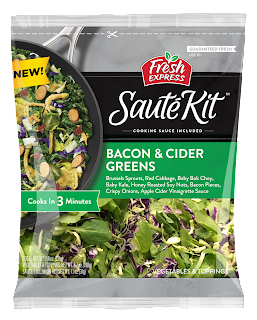 I've not always been a fan of green leafy vegetables, but I was recently introduced to tasty Fresh Express ready-to-cook saute kits. I'm officially a convert! This quartet of bagged side dishes includes a variety of leafy greens; additional veggies like carrots, broccoli, and shaved Brussels sprouts; crispy accompaniments; and tasty sauces. Everything you need is washed, chopped, and ready to use...so it literally takes 5 minutes to prepare with a bit of oil and a non-stick skillet. 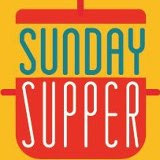 Flavors include Bacon & Cider Greens, Tuscan Kale Saute, Teriyaki Bok Choy, and Lemon Garlic Spinach. The flavors are robust, and add-ins like bacon pieces and crispy onions add flavor and texture. 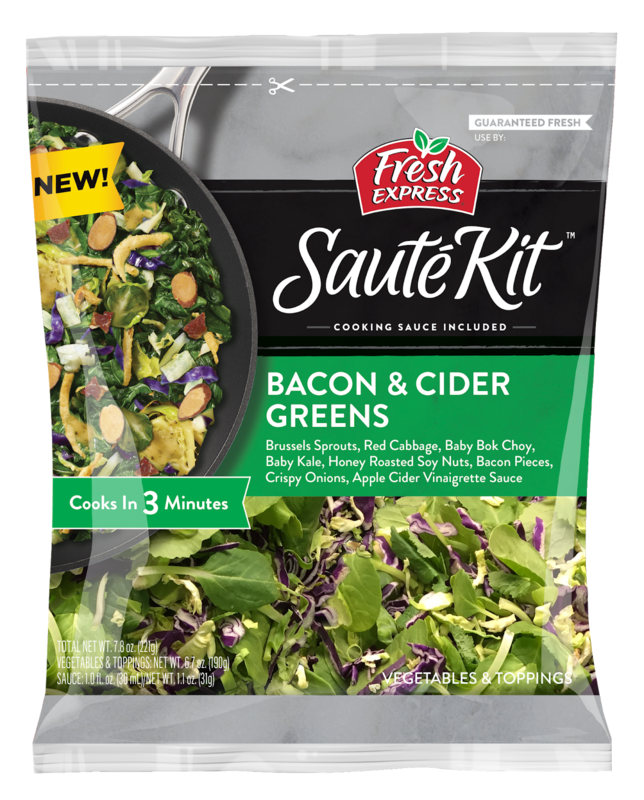 All four flavors are totally delicious, but our favorite is the Bacon & Cider Greens. The kit includes shaved Brussels sprouts, red cabbage, and baby bok choy and kale. After a quick saute, it's tossed in tangy apple cider vinaigrette and topped with honey roasted soy nuts, crumbled bacon, and crispy onions. Add grilled chicken breast and steamed brown rice, and dinner's ready in no time! To find Fresh Express products in the Produce department of a grocery store near you, be sure to check out their Where to Find Us tool. (3) Kween Granola Butter. 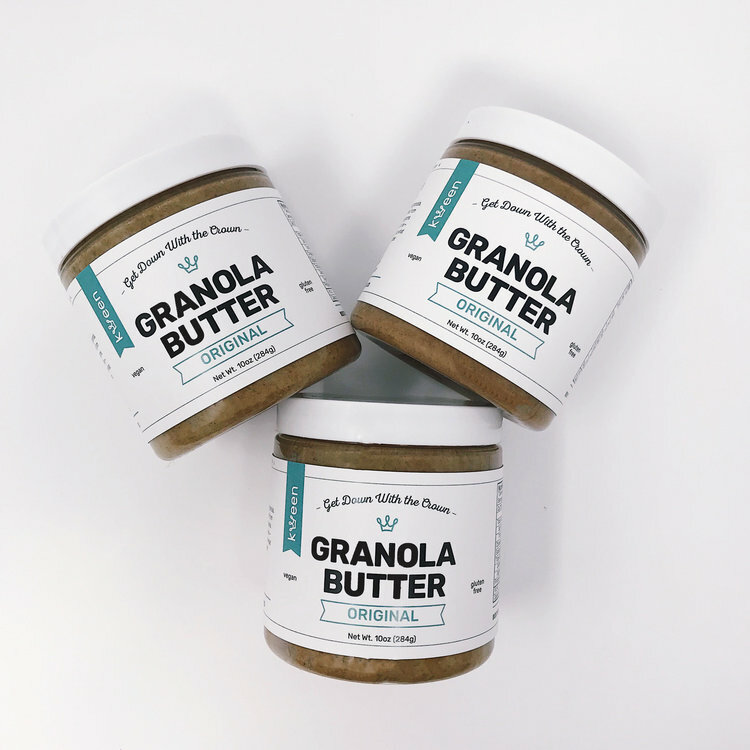 Let me introduce you to a crazy good product that needs to be on your foodie radar: granola butter. Imagine all of your favorite granola flavors like oatmeal, cinnamon, and coconut in a spreadable form! 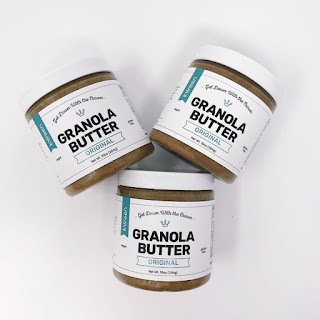 Original Granola Butter is vegan, low in sugar, and gluten free. Kween's Granola Butter is made with gluten free oats, flax, olive and coconut oil, maple syrup, and a bit of salt and spices. It also comes in Original with Collagen. Each 2-tbs. serving of Original Granola Butter contains 4g of protein (the Collagen variety contains 7 grams of protein) -- with less than 3 grams of sugar. Honestly, I ate most of my two jars of Granola Butter straight from the jar with a spoon as a quick post-gym pick-me-up. That said, I also enjoyed it spread on slices of apple...and as a smoothie add-in. Granola Butter can be ordered direct from Kween's convenient online Shop. Orders of $20 or more include free shipping! (4) Maxine's Heavenly Cookies. 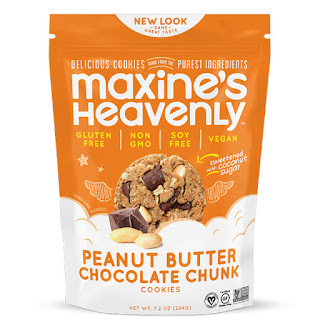 I was recently introduced to delicious Maxine's Heavenly Cookies. I was thrilled to discover they are made from nutritious, wholesome ingredients! 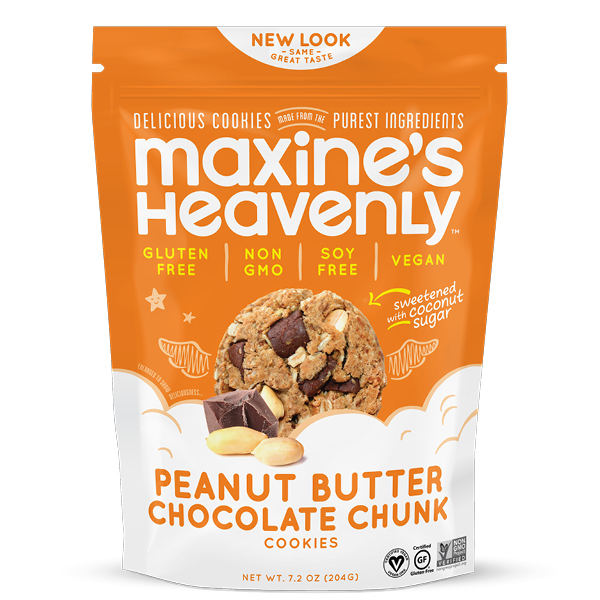 Maxine's cookies come in four great flavors: Chocolate Chocolate Chunk, Peanut Butter Chocolate Chunk (my personal favorite! ), Almond Chocolate Chunk, and Cinnamon Oatmeal Raisin. Each flavor is made with gluten free oatmeal, brown rice flower, palm fruit oil, and flaxseed and sunflower lecithin "eggs." The subtly sweet cookies are sweetened with coconut palm sugar. These ingredients mean Maxine's Heavenly Cookies are perfect for those following a gluten free or vegan eating plan. 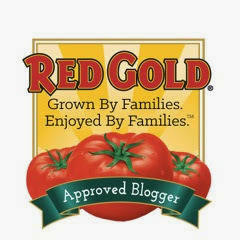 I love it when a product tastes great AND is healthy too! I have given these cookies to friends and family to taste -- without mentioning their healthy ingredients first -- and everyone immediately LOVES them! To order Maxine's Heavenly Cookies, be sure check out their easy-to-navigate online store. Currently, orders of $40 or more include free shipping! (5) Peeled Snacks. One of my weaknesses are crunchy chips -- but I know they have a lot of excess fat and sodium. I'm always on the lookout for healthier ways to satisfy my cravings for crunchy snacks. One of my favorite recent finds is Peeled Snacks! They offer organic, non-GMO Peas Please and new Puffs in a wide range of flavors. Peas Please are made with organic whole green pea and brown rice flours, healthy oils, and natural flavorings. 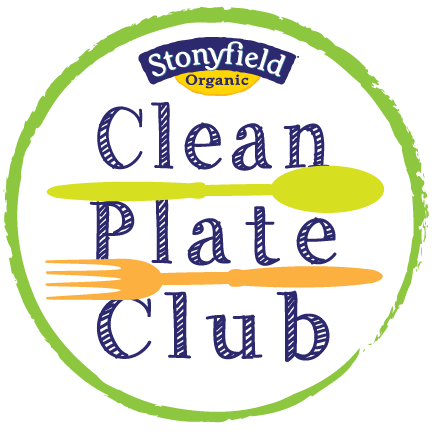 Each 1-ounce serving contains 4 grams of fiber, 5 grams of protein, and a 1/2-cup serving of veggies! Flavors include Sea Salt, White Cheddar, and spicy Jalapeno Lime. New Peeled Puffs are crunchy puffs that come in Butter & Sea Salt, Aged Parmesan, and Nacho flavors. They're made with organic green pea flour, and each 1-ounce serving provides 4 grams of fiber and 4 grams of protein. My favorite flavor is Aged Parmesan -- they're perfect for at-home movie nights and as a brown bag lunch component. Peeled snacks are located nationally at Whole Foods and Target. They can also be ordered directly via the Peeled Snacks Online Store. (6) Hilary's Veggie Burgers. Eating vegetarian 1-2 days per week means we've tried numerous kinds of veggie burgers. 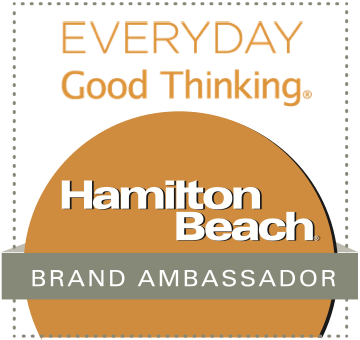 Hilary's entire product line is made from real ingredients and is free from common food allergens. Hilary's veggie burgers are one of my recent favorites -- their taste is amazing! 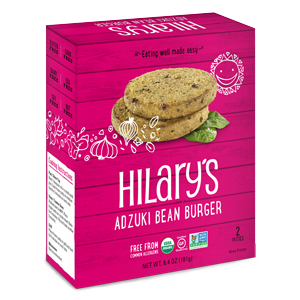 Hilary's veggie burgers come in a wide range of creative flavors: World's Best, Adzuki Bean, Hemp & Greens, Root Veggie, Black Rice, Spicy Thai, Curry, and Kimchi. All are made without soy and contain ingredients like millet, adzuki beans, quinoa, sweet potato, garlic, and natural seasonings. I like to heat a bit of olive oil in a non-stick skillet and cook both sides of these yummy veggie burgers until golden. The end result is crispy outside and tender inside. My personal favorite is the Adzuki Bean Burger served on a whole wheat bun with avocado, pico de gallo, and lowfat cheddar cheese...a real treat! To find Hilary's veggie burgers -- and all of their other products -- check out their searchable online Store Locator. (7) Blue Moose of Boulder Spreads and Hummus. 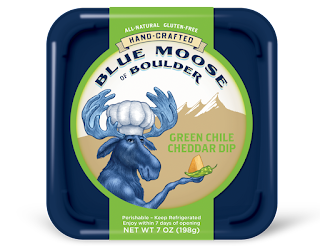 I first tried Blue Moose products last year and immediately became a fan of their yummy natural, preservative free products. Their hummus is creamy and comes in a range of creative flavors, and their spreads are fabulous as dips and/or bagel spreads. I recently tried some new...and new-to-me...selections from their product line. They were totally delish! Every item in their product line is handmade in Colorado in small batches, so the quality and flavor are amazing. Their organic hummus comes in seven flavors, including the unique Lemon Turmeric and Beet Balsamic varieties. The Lemon Turmeric is a gorgeous shade of yellow -- with a lightly tart lemon flavor. 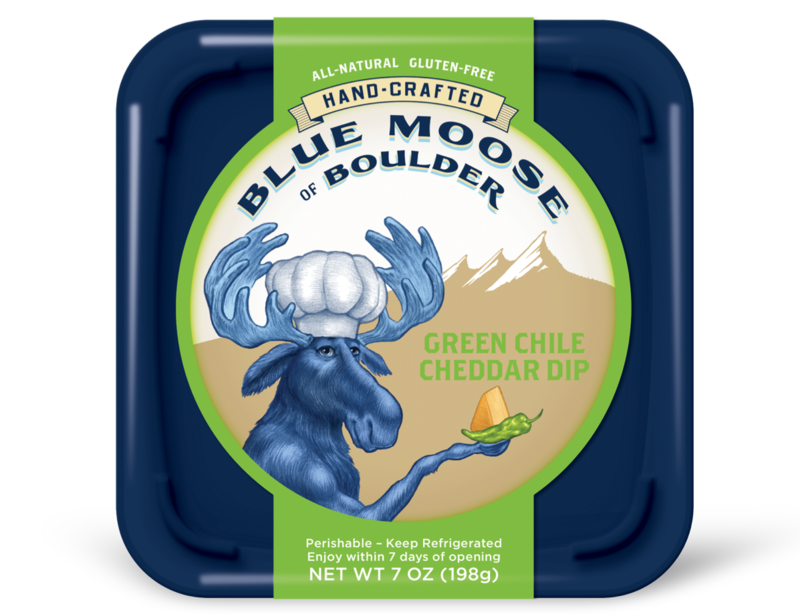 At Casa Garcia, we're especially smitten with Blue Moose's Green Chile Cheddar Dip! This savory dip is served chilled and pairs mild green chiles with a delicious Parmesan-inspired cheddar called Sartori MontAmore…excelelnt with sturdy tortilla chips! To find Blue Moose products at a grocery store near you, be sure to check out the Store Locator at their website. (8) True Story Sweet Italian Chicken Sausage. I am always on the lookout for healthier alternatives to my higher-fat favorite ingredients. 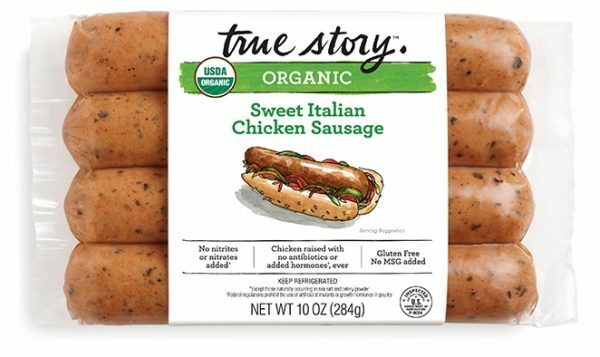 True Story's organic, gluten- and antibiotic-free chicken sweet Italian chicken sausage links are a delicious way to trim fat and calories! Made with sustainably farmed organic chicken, True Story Italian sausage combines Mediterranean herbs and spices with a bit of subtle sweetness. Each link is just 150 calories and contains 8 grams of fat and 11 grams of protein -- significantly lower than traditional Italian sausage links. I have cooked these links two different ways. One evening, I grilled them straight from the package and served them with mashed potatoes and roasted broccoli for a simple, fast dinner. I also served pan-seared links in whole wheat hot dog buns with sweet caramelized onions and tangy deli mustard. True Story's product line also includes organic and/or pasture raised deli meats, hot dogs, and fresh pork. True Story's website offers a helpful Where to Buy tool so you can locate their products at a store near you. Disclosure: The makers of the products featured in Wendy's Great Eight provided me with product samples to facilitate inclusion. I only recommend products in this column that I have personally tasted/cooked with/used and enjoyed. All opinions expressed are solely my own.